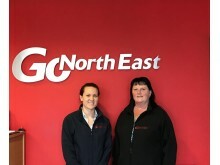 Shirley Connell and Sophie Moorby have both been recognised within the national award’s Passenger category; nominated for the Leader and Rising Star titles respectively. Now in its tenth year, the Everywoman Awards uncover and celebrate the most inspirational women working within transport and logistics – aimed at raising awareness of the diverse opportunities available and encouraging more women into the sector. Having just marked her 25th anniversary at Go North East in 2017, Shirley has worked her way through the ranks from a mini-bus driver to become Divisional Manager of the North region, recently claiming a seat on the Senior Management Team. Now heading up three depots, covering services in Northumberland, Newcastle and North and South Tyneside, Shirley is responsible for approximately 750 team members. The 54-year-old has enjoyed success through innovation, having hosted a free family fun day at the Gateshead Riverside depot for the local community to drive awareness and support recruitment which attracted over 2000 visitors. Under Shirley’s leadership, Riverside Depot was shortlisted for ‘UK Depot of the Year’ in the UK Bus Awards in November 2016 and internal communication has dramatically improved to benefit operations. 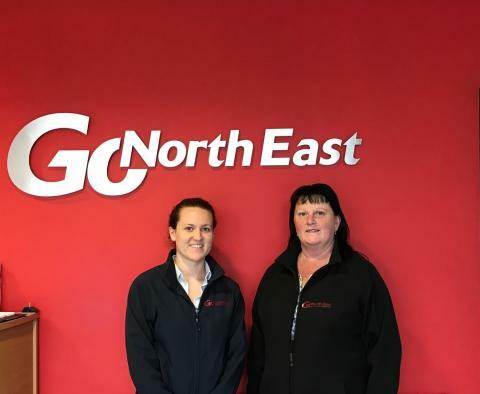 Sophie was invited into the role of Washington depot manager, heading up a team of 146, just 12 months into a two-year graduate training scheme at Go North East, making her the youngest employee in the company’s history to hold the position. The 25-year-old has also gained her transport managers CPC, making her the youngest ever transport manager on the company’s operating license. Since taking up the position, Sophie, from South Shields has introduced several new initiatives to the benefit of her teams and customers. These include staff health and wellbeing campaigns and the implementation of Drivecam - which has reduced accident numbers, helped to identify causes to reduce future occurrences and made it easier to commend drivers for their driving skill. Thanks to her hard work and endless enthusiasm, last year Sophie was recognised for the impact she had made at Go North East and in the industry when she won bronze in the Young Manager of the Year category at the UK Bus Awards. She also received a Special Commendation for ‘Going the Extra Mile’ at Go North East’s annual employee awards. The award ceremony will take place at the London Marriott Hotel on 21st June 2017.